Most health professionals regularly deal with patients who are afraid of needles, whether it’s while drawing blood, or injecting vaccinations. Team Med is passionate about all Australians – and people worldwide – being able to seek medical services when needed. That’s why we’ve put together a guide to help healthcare providers better support their patients who suffer from needle phobia, or Trypanophobia. Purchasing medical supplies is a bit different to ordering other goods from wholesalers. Whether it is in bulk, or simply specialised equipment not found elsewhere, you need to know that what you are bringing into your clinic, practise, or hospital is of the most reliable quality, to ensure those in your care receive nothing but the best. Unfortunately, with the prevalence of online market places, fraudsters and ill-natured vendors have cropped up in every industry, elevating the likelihood of purchasing insufficient goods. Measles, a disease that was eradicated in the United States, South Korea and a vast number of other countries, is recently making a comeback. In this blog, Team Med writes about the rise of measles, the cause, and what can be done. Read on to learn more. Running a clinic or medical practise, you have to realise that a vast majority of your patients would rather be somewhere else. It’s only natural. If you have to seek medical assistance, that means something is wrong with your health, and that can be one of the most stressful and nerve-wracking things in life. If you don’t work or study in the medical or surgical fields, then you’d be forgiven for thinking that cryosurgery sounds like something straight out of a science fiction novel. The Australian government recently set aside $52 million to provide free meningococcal vaccines to teenagers across the country, after a rise in the deadly disease. In Australia, we’re lucky enough that we very rarely see the air pollution in our immediate atmosphere. We know it’s there, but it’s almost impossible to see. We have no choice but to breathe the air around us, and while we can’t see the polluted air in front of us, it’s still playing a significant role in the overall health of the national and global population. Australia has one of the lowest rates of cervical cancer in the world, but the journey to lowering these rates hasn’t been an easy one. In 2018, cervical cancer is estimated to be the 14th most commonly diagnosed cancer among females, with an estimated 930 new cases of cervical cancer diagnosed this year alone. Electrosurgery is a common form of surgery in which tissue is heated in a variety of different ways for different results. Specifically, electrosurgery utilises alternating high-frequency radio currents in order to alter soft surrounding tissue. Medical dramas, particularly those watched on television, are hugely successful due to the consistent drama and often bizarre scenarios that befall the professionals that work in the hospital. While the events that unfold are obviously fictional, there are still many who derive their medical knowledge from what occurs on these programs. Thunderstorm Asthma: What Is It and How Can It Be Treated? Large scale thunderstorm asthma attacks have occurred in Australia for the last 35 years, however it was only brought to the forefront of the general public’s collective knowledge in 2016 after an unprecedented event that saw 10 fatalities. Have you ever wanted to know how medical professionals are able to measure the capacity of your lungs, or diagnose a range of lung conditions? 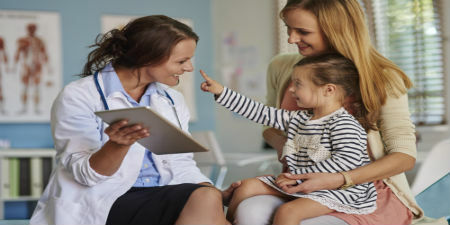 At some point in their lives, most Australians have had an encounter with a stethoscope during a doctor’s appointment, whether as a child or as an adult. Stethoscopes can be used to listen out for a range of health issues, because you can learn a lot from listening to a person’s chest. As another flu season begins, many Australians remain unaware of the various repercussions that a catastrophic flu season can have on the wider community. The flu can of course lead to deaths of vulnerable Australians, but it can also result in a loss of resources. The winter blues may seem like an excuse many use when they’re feeling down, but experiencing this kind of sadness during the cooler months is actually an accepted phenomenon. This winter depression is actually called seasonal affective disorder (SAD), and is tied to the changes in seasons. Cryosurgery may sound like a farfetched concept straight out of the future, but it is in fact a highly specialised method of surgery that is perfect for destroying diseased and abnormal body tissue. What Kinds of Vaccines Are Being Produced? Vaccines might serve the same general function, but this does not mean that they are created in the same way. There are in fact several types of vaccines, each of which instructs an immune system to fight a disease in a certain way. This makes different kinds of vaccines ideal for a variety of different purposes. Vaccines are well known to be highly useful for preventing serious diseases. Whether it be to prepare for travel, the onset of a new flu season or a scheduled vaccination for children, vaccines are necessities throughout our lives. From fighting off the common cold to protecting your body from infections and bacteria, the immune system is a remarkable aspect of the human body. However, as with all systems, your immune system can sometimes let you down. This is an unavoidable part of life. For your immune system to work to its full potential, you need to give it the best chance at functioning harmoniously and in balance with the rest of your body. Looking after yourself physically and mentally and eating the right foods can help to boost your immune system, especially when the common cold and flu season are prevalent. It’s getting to that time of year again. When the mercury drops and a vast number of Australians begin dreaming of warmer days, eventually deciding to jet away for a short getaway or a longer vacation. Whether you’re an experienced traveller or preparing for your first international journey, it’s important to understand that you may be more susceptible to illness while travelling, and how you can take steps to help prevent this. With the weather cooling down in preparation for the winter months, the upcoming flu season is drawing closer. Some might have mistakenly believed that they’ve missed the window for their shot, but this is far from the truth. Australian small businesses once again benefit from the Australian Tax Office’s allowance in the budget for a $20,000 instant asset write-off in the 2017/18 financial year. This allows small businesses with a turnover of less that $10 million a year to write off any business-related assets that cost less than $20,000 (either new or second-hand). The 2017/2018 flu season was a catastrophic time for Australians. in 2017, over 1,000 Australians suffered flu related deaths, with 90 percent of these deaths being people aged over 65. There’s no sign that it’ll slow down in the next season, either. Poor eye health is a relatively common issue in Australia, and it is expected to be on the rise, with 800,000 Australians expected to suffer blindness or have some vision loss by 2020. Even with this rather intimidating statistic, there are always means to prevent and manage eye conditions. Adding unnecessary ingredients to food products might seem like a wrong thing to do – if food products are already full of vitamins and minerals, wouldn’t the addition of anything else impact the end product? As its name would suggest, the common cold is quite prevalent year-round. To combat it is not easy, as there is no real cure available, but there are nonetheless means to avoid getting sick. The cooler months of autumn and winter are the peak season for sickness, so we at Team Med have compiled a few pointers to help you manage this (very inconvenient) virus. Eczema is a common issue for many, and combatting this skin issue can be a nuisance a lot of the time. although there are over the counter and prescription creams and solutions to manage eczema outbreaks, such as topical medications like corticosteroids and skin barrier creams, preventative measures can help significantly in ensuring outbreaks are avoided entirely. Being one month into the year affords us the time to reflect on our new year’s resolutions – for better or worse. For those committing to lose weight, a few kilograms will hopefully been shed by now, however for those who have struggled to lose weight, a few factors might be at play which make the weight loss process much more difficult. Managing consistently restful sleep is unfortunately challenging for many. Despite constant lethargy and exhaustion, maintaining a healthy, long sleep very often feels unobtainable for some people. When we feel healthy, we understand that there is little motivation to go out of our way to make an appointment with our local GP. Why should we, if we feel great? The human body really is amazing, capable of extraordinary things. When we think of health, many people will conjure images of bodies in peak condition, of athletes that can push their physical limits. You don’t have to be a medical professional to know how important blood is to our health. Euthanasia continues to be a hotly debated and divisive topic in countries all over the world. We’ve heard it in the media for a while now, that the overuse of antibiotics is now creating super bugs that are resistant to treatment. Turning 40 is a milestone that should be celebrated. However, this big birthday is also a time for reflection on your health as changes happen in your body. For some, the end of the year is a time of relaxation and excitement for the holiday season. As the year continues to pass by at incredible speed, we find ourselves once again growing our facial hair for a great cause. As we approach the warmer months, which will likely be filled with time spent outdoors, it’s important we remember just how important it is to care for our skin. 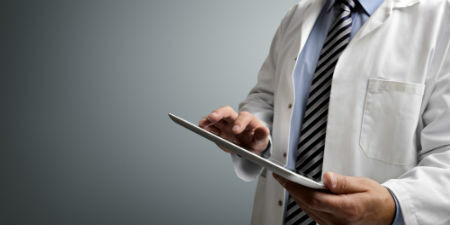 Most, if not all, professionals in the medical industry will agree that keeping up to date with the latest medical advancements will result in better care. As medical professionals, it’s important we realise that proper health doesn’t just stop with the physical condition of a person. Mental health is slowly becoming a topic that is talked about more often – and for good reason! Our emotional wellbeing is just as important as our physical health, and to achieve both one of our first stops is our GP. As the retirement age seems to be pushed further and further, Australians are left facing incredibly long careers. This extended working life brings about a few questions. How will our bodies cope as we age? Will we be able to remain as sharp and productive as we were in the beginning? And, maybe most importantly, how will we stay happy and excited about a career that spans many decades? This October, people around the country partake in Breast Cancer Awareness Month. Held every year, this campaign is aimed at increasing awareness of a disease that affects families throughout the world. With 1 in 8 women being diagnosed with breast cancer in their lifetime, this is a disease that has likely hit close to home with mothers, sisters, friends, daughters and co-workers being affected. For those in the medical industry, the possibility of saving someone’s life is very real. For the rest of us, we assume heroes and life savers are left for televisions and the big screens. Not anymore. It’s time we celebrate those everyday heroes that selflessly go above and beyond to make a difference. Whether it’s that dream holiday that has been years in the making, that visit with family and friends overseas or simply an excuse to escape the chill at home, we Australians love to travel. The last thing we want, then, is for something to ruin our trip. Forget about those unfortunate tan lines or questionable clothing choices, the one thing that will put a dampener on a trip faster than anything else is illness. In light of Women’s Health Week, which is celebrated throughout the country from the 4th to the 8th of September, we take a look at what medical professionals should be keeping in mind when it comes to female patients. There are some topics out there that will always spark a debate between individuals, whether the annual health check is necessary is such a topic. For those in the health care industry, or any industry in fact, it is great to hear that we are doing something right. Last month Australia received some high praise, being ranked second best when it came to healthcare amongst 11 high income countries, being beaten only by Britain who took the coveted number one position. In the beginning of August, Australia partakes in DonateLife Week. 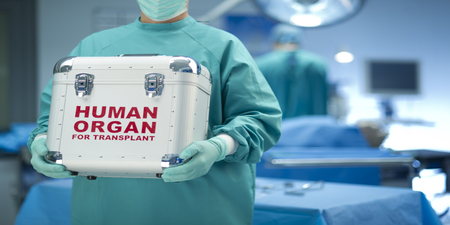 From the 30th of July to the 6th of August, this time is spent raising awareness of organ and tissue donation and inviting more people to make the life changing decision to join the Australian Organ Donor Register. But what is the process of donation, why is it so important, and why is it recommended that people register? Good health is often about great promotion and awareness of conditions, symptoms, screening and treatments. Here are some events you may not have heard of. While advancements in medicine over time has extended the lifespan of many Australians, it has brought about the issue of quality care for the ageing population. Now we are seeing higher demand in a range of healthcare sectors such as aged care, physiotherapy and nursing among others. For those seeking a long term, stable career that helps others, healthcare is an incredibly attractive industry to enter into. Whilst children are on school grounds, the onus is placed on staff to ensure the safety of students to the best of their ability. With young children being prone to many ailments, from little bumps and bruises to more serious cuts, asthma attacks and allergies, it is important for education providers to be well informed and prepared for a wide host of scenarios. It can be easy to assume that with such a demanding education and fast-paced job that it can be hard to fit in those hobbies or passions you once enjoyed. However, getting that dream job doesn’t mean giving up other things you like such as travel, and there are actually great opportunities for those who are looking to utilise their skills while seeing other parts of the world. With most of us working until we are at least 65 years of age before retiring, choosing a career path is not something you will enter into lightly. 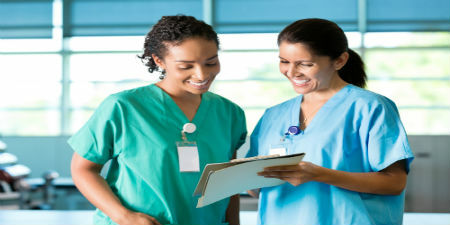 The amount of work required to obtain a career is extensive, especially for people looking to enter the medical field. 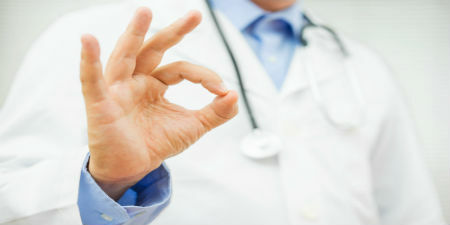 So how can you be sure you are selecting the right medical career for you? Here are some things you should consider in the selection process. Fruit and Veg Intake: Are You Really Getting Enough? While we’ve had the recommended intake drummed into heads, many of us a not living by the two fruits and five vegetables a day regime. To put it in numbers, only 1 in 5 Australians are getting the right intake, with the rest of us falling dismally behind. For some of us, getting the motivation to get active and fit is hard at the best of times. It’s understandable, then, that many of struggle even more once those chilly days and even chillier nights greet us. As exercise is so essential to our overall health, it’s important to do what you can to maintain fitness in those colder months. For those in the healthcare industry, it can be hard to switch off once the day is done. Medical careers, whether intentionally or not, have a way of forcing you to rearrange your life. Apart from the years of in-depth training that has left us missing social functions, special events and countless hours of sleep, our needs are also put to the back of mind once we start our role in healthcare. In order to really appreciate how far medicine has come, we’re taking a look at what was once believed to be great medical advancements in history. Here are 5 of the craziest medical practices that were once the norm for doctors and patients around the world. Continually striving to improve patient care should be an aim of any health care provider, from local GPs to hospital staff and nurses. Just as the field of medicine changes over time, so too will the way we treat patients for a number of illnesses. 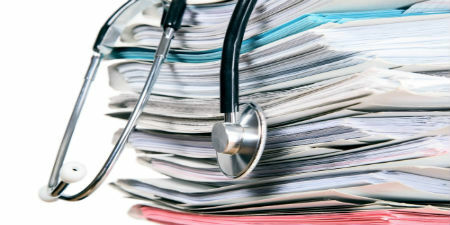 Here are just a few things everyone in the health care industry should be considering when it comes to effective patient care. For doctors, their whole working lives are spent looking after other people. At its core, a career in healthcare requires a selfless attitude. However, sometimes this can become detrimental as care providers forget to provide that same high level of care to themselves. Everyday doctors encourage their patients to lead happier, healthier and more stress-free lives, but often it is the carers that are failing to live up to the same advice. So how can doctors ensure they are taking care of themselves as well? As the cooler weather approaches, so too does a number of viral illnesses that can pose serious health issues for at risk people. Autumn and winter are especially known for cold and flu outbreaks, and many medical professionals will recommend vaccines to lessen your chances of contracting the flu. After countless years spent on placement, in lecture theatres and locked up in your study on Saturday nights, you are finally qualified as a doctor. This can be an exciting but unnerving time in your life, since you are now applying all your theoretical and practical knowledge in real-world contexts. The way in which we approach healthcare is constantly evolving thanks to new applications of technology to the medical industry. Find out some of the most impressive developments that are expected to gain traction in 2017. Innovation in technology is truly remarkable. By definition, it continues to amaze us year by year no matter how many great leaps forward we take. Oral examinations are such core practice in medicine that you’d be hard pressed to find a doctor who doesn’t perform one every day. 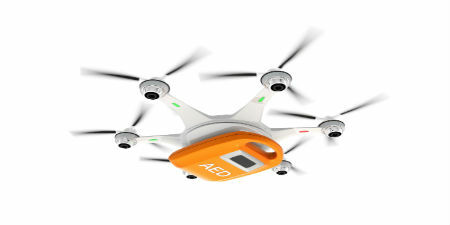 They offer immediate information in a variety of contexts, and can be performed in a matter of seconds. What should patients expect in a sleep study? A sleep study, also known as a polysomnography, involves an overnight stay in a sleep centre, where various tests will be performed. The sleep centre will usually be similar to a hotel, with private rooms that have en-suite bathrooms attached. In the last few years, the sale and use of wearable devices has skyrocketed. Their ability to alert you to calls, messages and emails (and who it was sent from) is great for convenience, but perhaps the most beneficial factor they offer is related to health. Whether you’re a physician making a house call, a family stocking up your first-aid kit, or a local GP working at a clinic, there are certain medical supplies which we need to keep close by at all times. Medical technology is advancing at a spectacular rate across the country, from innovations such as new ways to screen for cancer to full face transplants. However, the relationship that doctors have with technology is moving forward at a similarly exponential rate. 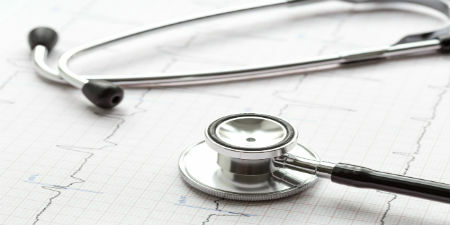 Stethoscopes are one of the most versatile and valuable tools found in healthcare. There are a huge range of stethoscopes designed for a plethora of uses, and as a result they are one of the most common medical instruments used today. If you or a loved one have been through the medical system for any period of time, you will be very aware of how quickly paying for little things can add up. There are a host of things that you might have to pay out of your own pocket for. Doctors are faced with challenges in their profession multiple times a day, from a difficult diagnosis to delivering bad news to a patient. One of the more commonplace, but less intense, tasks that a doctor faces is trying to facilitate patient engagement. It is not so hard to understand why medical practitioners might not feel a clear impetus for self-improvement in the workplace. The rigours of a doctor’s education in the years before they begin practicing suggest that education marks the end of a long road. According to the World Health Organisation, more than two billion people lack adequate access to vital medical supplies. That’s almost one third of the world’s population. Ensuring that your vaccinations are securely and properly stored is a fundamental aspect of providing safe, effective immunisation programs. 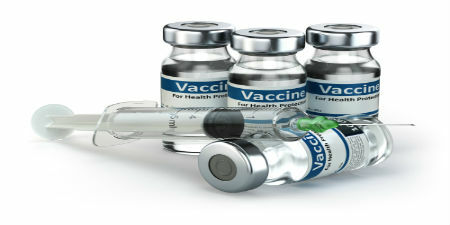 Without appropriate storage and handling techniques, vaccines can become completely rendered unsafe for human consumption and unusable. 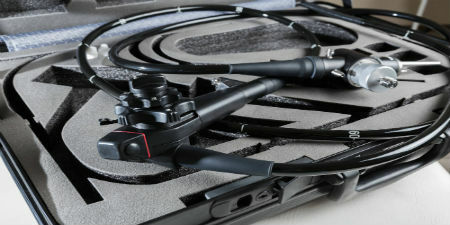 Is Your Endoscope Clean Enough? Endoscopes have literally given us a clearer image into our bodies, and as a trusted medical device, it has helped countless patients. However, it has also been responsible for a swathe of malpractice cases over the past few years. In the medical world, free time seems to be an ever-fleeting fantasy. With the incredibly long hours, small breaks and frenetic nature of a medical practice, being pressed for time is a constant. At-home medical technology has completely changed the way people interact with their medical conditions. 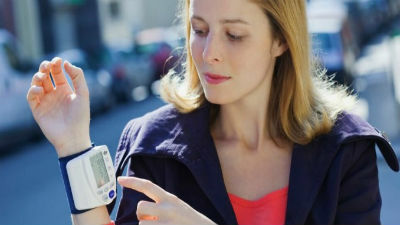 However, recent investigations into home blood pressure monitors are pointing towards issues and irregularities in many devices readings.